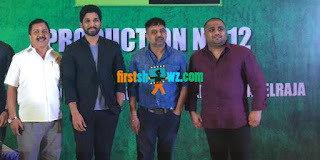 Stylish Star Allu Arjun and Lingusamy film has been in news for a long time now, and this Tamil-Telugu bilingual seems to be finally confirmed. According to latest update, Allu Arjun has been holding discussions with Lingusamy for a while now and the script has been in progress. Gnanavel Raja of Studio Green production will bankroll this untitled film. The movie will be shot in Telugu and Tamil versions simultaneously. Allu Arjun has begun shooting for DJ Duvvada Jagannadham in the direction of Harish Shankar, being produced by Dil Raju under Sri Venkateswara Creations banner. Allu Arjun will join Lingusamy film after he wraps DJ.